The MICCN Industry Advisory Board provides strategic advice, and promotes and assists the Institute in enhancing its collaboration with industry. The board is comprised of five external members who are academic and industry leaders with expertise in neuroscience, pharmaceutical, commercialisation and innovation. Simon P. Tucker, PhD is currently CEO and co-founder of 360biolabs; a Melbourne-based contract research organisation. Prior to 360biolabs, Simon was Vice President, Research of Biota Pharmaceuticals, Inc with global responsibilities for the Biota pipeline. He served on Biota teams involved in the first neuraminidase inhibitor (NAI), Relenza, and a series of next generation NAI including laninamivir and extremely potent multimeric NAI effective as a single dose. He was also responsible for the development and subsequent launch of the first point of care diagnostic for influenza and a series of antivirals for respiratory (including RSV antivirals and vapendavir for picornavirus) and blood borne pathogens together with novel antibiotics. Prior to Biota, Simon held the position of Senior Lecturer and Head of The Gene Therapy Laboratory at the University of Glasgow, UK and before then Senior Research Investigator, Infectious Disease Research, G. D. Searle Research and Development, St Louis, MO, USA where he headed the influenza antiviral discovery team and was involved in the HIV antivirals team which, amongst other achievements, discovered the drug amprenavir. Simon received his BSc (Hons) degree in biochemistry from the University of Sussex, UK. He completed his PhD in 1988 through the University of Reading, UK while studying avian influenza in the Director’s Group, Institute for Animal Health, Pirbright, UK. His postdoctoral work was undertaken at the University of Alabama, Birmingham, AL, USA where he also served as a Senior Research Fellow before joining Searle. Dr Vicky Au brings insight to the management and delivery of innovation and R&D projects from her previous roles in management consulting, the government, and higher education sectors. 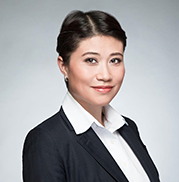 Vicky is currently a Director with PwC China, based in the Shanghai office, with responsibility for building the practice in the Central China region for business tax strategy and structuring in IP, R&D, and technology-related consulting. She works mainly with large multinational companies across a diverse range of industries, including biopharma, resources and mining, ICT, engineering, automotive, manufacturing and FMCG. Vicky started her career with PwC in 2007 in the Australian firm. Prior to PwC, Vicky worked as a patent examiner under the international (PCT) and Australian patent systems. Vicky also has experience in academic research and as part of a CRC. Vicky has presented at government department roundtable discussions both in Australia and China regarding policies encouraging company investment in innovation and technology and has contributed submissions to Australian government policies on R&D incentive programs. She has served as a panel judge for Australian government innovation grants and awards, and as an expert panel member at commercialisation and entrepreneurship business school programs in Australia. Vicky has a doctorate in the field of Physical Sciences and Engineering from the Australian National University. 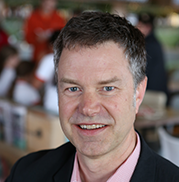 Dr Rob Grenfell is a Public Health Physician, and is the Health Director of CSIRO’s Health and Biosecurity Business Unit. He leads a broad portfolio covering Nutrition, eHealth, Medtech and Diagnostics and Biosecurity from weeds to Ebola. Rob has broad ranging public health experience including: National Medical Director at BUPA Australia New Zealand; National Director Cardiovascular Health at the Heart Foundation; Strategic Health Advisor to Parks Victoria; Senior Medical Advisor at the Department of Health Victoria; Physician in charge of travel health BHP; and General Practice. 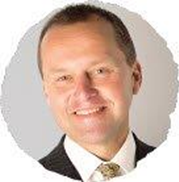 Rob was a member of the Safety and Quality Outcomes Committee of the Hospital Innovation Reform Council, a member of the Victorian Quality Council, Chair of General Practice Victoria, and Member of the Health Advisory Committee of the National Health and Medical Research Council. 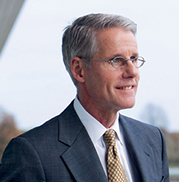 Mr Geoffrey Kempler has served as the Chairman of the Board of Directors of Prana Biotechnology since November 1997. Prana develops drugs for the treatment of neurological diseases. On 30 November 2015, Mr Kempler was appointed as a Non-Executive Chairman of Opthea Limited – an ASX listed drug development company – developing innovative, biologics-based therapies for the treatment of eye disease. Mr Kempler is a registered psychologist, with a B.Sc degree in science from Monash University and a Grad. Dip. App. Soc. Psych. degree from Swinburne University. He has extensive experience in investment and business development. Dr David White graduated from Emory University Medical School and completed training in Internal Medicine and Pulmonary Disease at the University of Colorado Health Sciences Center. David has held a number of positions at various universities over his career and is currently a Professor of Medicine, Part Time, at the Harvard Medical School and works heavily with both Philips Respironics. 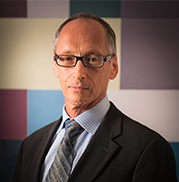 Some of David’s major accomplishments include being President of the American Academy of Sleep Medicine, Chairing the Task Force to write the research plan addressing sleep and its disorders for the National Institutes of Health, and being the Editor-in-Chief of the Journal SLEEP. He was also on the test writing committees for the American Board of Internal Medicine for both Pulmonary Disease and Sleep Medicine. David’s principle research interest has been the pathophysiology of disorders of breathing during sleep, about which he has published over 200 original papers.